December was a big month at the school! 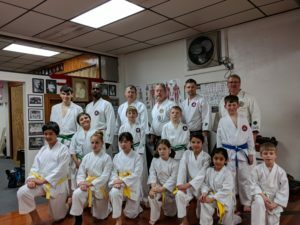 Almost all of our adults & teens under black belt received a promotion. 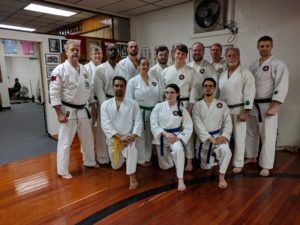 We have a great group of adult students that spent a lot of hours and shed a lot of sweat to earn their next belt, and we couldn’t wait any longer to move them up!